The ninja in a hidden village have their own skill levels which help delineate what rank they are. The most talented ninja in the village is generally the Kage who leads the village, the lowest tier is made up of those young individuals training in the ninja academy. Listed below is the ranking from lowest skill level to highest. Groups such as the ANBU are not a level, but rather a specialized unit made up of ninja from the Chuunin and Jounin levels. 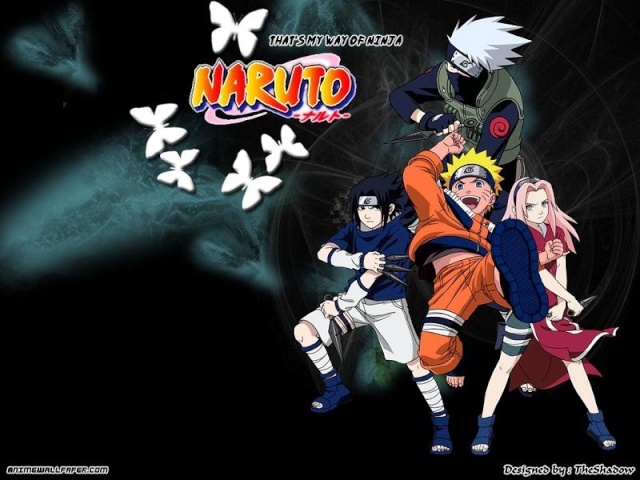 Ninja Academy students like Konohamaru are taught the basic jutsu skills. Once they have mastered the needed skills, they are able to graduate and become actual ninja. However if the new Genin do not impress their Jounin sensei, they can be sent back to the Academy for further training. Genin are the lowest of ninja skill levels. They possess a knowledge of all the basic ninja skills and will do lower C & D rank missions with their Jounin sensei. Once the Genin has successfully undertaken eight missions, they can be sponsored by their Jounin sensei for the Chuunin Exam. The Chuunin is the basic journeyman ninja of the village. These ninja can become field doctors or teachers. They were formerly Genin who were promoted for displaying excellent intelligence, strategy and combat skills in the Chuunin Exam. Chuunin have the equivalent rank of military captain, exhibiting strong stamina, knowledge and inner wisdom. The Jounin are ninja who are highly skilled in all jutsu skills and arts. Ninja attain the rank of Jounin through official appointment. The Jounin generally serve as squad commander for mission operations. The village Kage is the strongest ninja in the hidden village. The Kage serves as the pillar upon which the village stands and the strength a village presents to the other ninja countries largely depends upon the strength of the Kage in power. They have excellent chakra and stamina and know the most jutsu techniques. Only the Five Great Shinobi Countries are allowed to call their head ninja by the Kage name.